The world today has been incredibly altered by the developments of technology. You'll be amazed at the many different innovations and modernization's that technology has produced for different machines. All the mechanisms around us are becoming even more useful as time passes by. Computers are some of these useful devices, and an HP or a Canon printer would definitely make the set complete. A lot of printer makes and models have been released in the market, and most of them offer various new features and technological developments. Each model has a different purpose in printing, but there is one thing you can be sure of: good printers have good reputations. Examples are Hewlett-Packard and Canon printers. The two names are well-known because of the excellent features that they offer. They may be popular, but HP and Canon drove a long way before getting to where they are now. Making a respectable image in the industry takes a long time, even several years, to establish. The question now is: which one is better, Canon or HP? It may not be that easy to tell because the companies have different sets of printers. In order to find out, let us compare their models. Firstly, HP and Canon do not have much difference when you talk about conventional printing. The trademark of HP in inkjet printers, the DeskJet series, and the inkjet printers of Canon are quite similar to each other. The Business Inkjet 2800 from HP and the PIXMA iX7000 from Canon have the same business-quality performance that provides excellent document quality, professional prints, and colorful photos. Having a photo printer of your own makes printing pictures very easy, and HP and Canon's photo printers are excellent for this job. HP's Photosmart D7100 and Canon's PIXMA iP6220D are excellent photo printers that offer great features like a 2.5'' LCD color display that allows you to view and edit your photos and print them without a computer simply by inserting memory cards in the memory card slots. For multi-functional features that are perfect for the office, an all-in-one printer where you can print, fax, scan, and photocopy is the best choice. An example of this is the K7100 from HP's Officejet 4500 All-in-One series and the PIXMA MX7600 Office All-in-One printer from Canon. 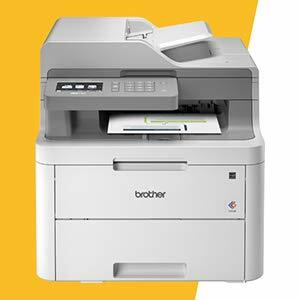 You can use these two machines to print, copy, and fax in full color and receive documents and images in perfect hue. If you want the latest in printing technology, laser printers offer the best printing quality and speed. The Color LaserJet CP4025dn printer from HP and the image CLASS LBP6300dn from Canon allows you to save up to 50% of paper with their duplex-printing feature, and save time as well with printing speeds of 30-35 pages-per-minute. These devices are also network-ready so you can connect and print straight from the internet. As you can see, HP and Canon printers have a lot in common. They may have different technologies but their features are a lot alike. The only difference that they might have would be their prices. For a more affordable selection, choose HP; but if you don't mind the costs, choose Canon. Your decision makes the final statement. Gone are the days when small business owners would have to run from pillar to post to get their paper work done on time. Printers, scanners, copiers and fax machines were UN-affordable and out of reach for those who ran small businesses from home offices. Even the few who chose to invest in these separate machines found it next to impossible to house them in their small offices. The solution for this problem came in the form of a multi-function device known as the all-in-one printer scanner copier fax. It is a device which is both affordable and efficient. The best part about it is that it hardly takes up any space. The manufacturers of today have become increasingly aware of the needs of the modern day consumer. It is this awareness which has led to innovative multi-function devices like the printer scanner copier fax becoming a reality. Multi-function devices are of different types and cater to different segments of users in the market. The capacity and the price of the device would vary depending upon the intended use. There are different types of the printer scanner copier fax to meet the needs of the home user or small office user. There is also a mid-sized freestanding unit to cater to the needs of a large office. It becomes important for you the consumer to analyze your needs and choose a multi-function device accordingly. A printer scanner copier fax should have a fax modem speed of at least 33 kbps. Slower devices would lead to increased costs while faxing. A multi-function device with a minimum speed of 33 kbps would inevitably lead to curtailed costs and improved efficiency. 8MB is the standard memory embedded in most multi-function devices. However it is advisable to have at least 16 MB of memory, especially if you work with large documents. Certain multi-function devices are equipped with an expandable memory; it is a useful feature, especially if you intend on upgrading in the future. A resolution of 1200dpi x 600dpi for the printer and scanner is found to be ideal. The speed of the printer is of little consequence. However, the faster the device the better, but the minimum required speed should be at least 22ppm. Generally preference is given to a multi- function device possessing a laser printer. Although expensive, a laser printer has greater output and documents printed by it show greater durability. The laser printer scores over the inkjet printer in speed, performance and durability. Being competitive in the world of business requires you to meet deadlines. Doing this consistently would be near impossible if you are constantly burdened by a mountain of paperwork. It is a Herculean task to print, scan, and copy and fax documents separately on a daily basis. The smart choice is to invest in a printer scanner copier fax to save both your money and time. The copier industry is highly competitive and their representatives who are selling the company's products to you are well-versed in promising you the moon. It shouldn't come as a surprise to you even if the most far-fetched of your requirements will be answered in the affirmative by the copier and sales reps and they would try and convince you that the copier can do anything that you would ask it to do, short of talking back to you! After all they want to sell it to you. Therefore, it's important that your interaction with the copier sales and services rep is informed and they don't pull the wool over your eyes. Reading the first paragraph you might have come to the conclusion that copier sales and services reps want to rip you off. Nothing can be farther from the truth. It's best that you don't take the sentences mentioned above as the general rule and take is as a bit of a negative exaggeration, which was meant to be funny. The fact is that they want to sell a product to you and they are singing the praises of the copier in question, so that you are interested. Therefore, when a rep approaches you, it's best not to get defensive but take a pro-active stance to them and their product. This lays the foundation of a good interaction. Once again we reiterate the fact that the job of the copier sales and services rep is to the sell the product and not helping the customers. Therefore, it's of paramount importance that while buying or choosing a copier that you have a fair idea of the copier market and the kinds of copier that are available in the market. Moreover, get to know about the costs of the copiers and their functionality. This would help you make an informed decision while you buy a copier and also interact intelligently and constructively with a rep. When you have a fair idea of the copier market and copier functionality, you can negotiate with the copier sales and services rep in a better manner. It must be understood that when it comes to negotiations and the transactions involved therein, some of them will be in your favor while some will be in the favor of the seller. However, there are times when you can negotiate in a way such that the transactions are fair to both parties, that is you the buyer, and the seller. At the end of the day, if you can strike a rapport with copier sales and services representative, nothing can be better than that. The interaction must be positive in nature in the sense that you must be able to strike a beneficial deal for the copier and the ancillary services with the sales rep of the copier company. You don't have to impress the management of the shop to get a deal. Just this one person will do! So interact properly and get the benefit. You already know that buying a digital copier is a sound investment for your business. Multi-functional, cost-effective, produces high-quality copies... What more could you need, right? However, before you search for one online, there are some things you have to take into consideration. You may be thinking any digital copier will do. While there is some truth to this, seeing that digital copiers are exceptional devices, there is a difference between buying one and buying one which suits your business the most. 1. Color Copier or Black and White? Of course, a digital color copier costs more than its black and white counterpart. If you have the money, the color copier is suggested. On the other hand, if you are in a budget, ask yourself if you will actually need one. A black and white copier is good enough if most of your documents do not need color. If you are in the marketing business and produce brochures, colored photos, and similar documents on a regular basis, then it would be smart to purchase a color copier. 2. Paper Handling - This is an important feature that you should take time in considering. If you are short-staffed and multitasking is called for, get a copier which can handle at least 250 sheets. Free yourself and your colleagues from refilling the copier tray every two hours or so. 3. Volume - Do not make the mistake of buying a personal copier to use for business to save money. Personal copiers are not made to handle hefty volume. You will end up taking it to a service center sooner than you think, not to mention the cost per copy is much higher, cause they are usually cartridge type systems. Go for a digital copier made especially for handling heavy volume. 4. Versatility - Digital copiers by themselves are multi-functional. However, there are businesses with needs to produce copies in different papers, in size, material, and weight. If your company falls under this type, look for a copier that can manage various types of papers including index cards, transparencies, and other media. These are typically an office grade higher quality type copier. 5. Duplexing - Simply put, this is a copier feature which enables it to print on both sides of the paper. Buying this type of copier will cost a few more dollars, but if you think it is necessary for your business, then why not? It can save you money on paper in the long run. Exactly What Is a Digital Copier? Technology is truly something to behold. Gone are the days when analog copiers reign supreme in the business world. Thanks to the continuous search for the better and best, digital copiers are now the trend... and rightfully so. One of the advantages of digital-copiers over their analog counterpart is that they have the ability to store documents into memory. To put simply, the information is imprinted on the drum through a laser, the document gets printed, and the image of the document is saved in the copier's memory. First, you can have a document copied just from the memory. Say you forgot the document in your cubicle. You can save yourself from a trip back, if the document has already been copied and stored in memory. Second, since the document is already in memory, you can send it electronically to other devices provided that they can receive the information. Examples of which are computers, fax machines, and even some phones. This saves time, not to mention paper. You do not have to wait on documents from the main office to be sent through FedEx. Another aspect of digital-copiers is that they can generate more than one set of copy with just one scan. You do not have to run the original document ten times to have ten copies. If you only need two copies of a document, this is not much of a benefit. On the other hand, if you are in the business where hundreds to thousands of copies are needed almost every day, then you better invest on a digital-copier or two. You can leave it all to the digital copier, to do other pending tasks, and comeback for the copies later. Next, digital copiers produce copies of unsurpassed quality. Digital-copiers produce high quality copies that more often than not, are hard to tell the original from the copy. Compared to other copiers, digital copiers are preferred by majority for this feature alone. Best of all, maintenance cost is relatively cheaper. The ink or toner used by digital copiers create more copies than the cartridges normally used by analog copiers. While buying a digital copier, it will cost you more than other copiers, in the end, you are really saving money. If you are looking for a digital copier, HP, Xerox, Toshiba and Canon are some of the brands known for their digital technology, copiers included. In today's business there is always more than enough work and never enough time. There is constant running to the printers for meeting documents, advertising flyers. With just a regular copy machine, trying to make copies yourself will have you spending hours standing by the copy machine. 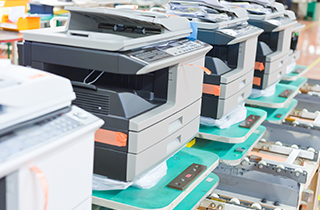 Investing in a multifunction printer can eliminate all of that time-wasting and then some. It is your copier, printing service, fax machine, scanner and binder all in one. Multifunction copiers have many features so it's best to know what all your needs are. If you already have faxing set up in your business or home business you would not need a multifunction copier that had a fax machine on it, but you may need one that had a scanner feature on it, or that deals with colored copies so on and so forth. It is advised to look out for certain things before you just go jump in and buy a multi copier. Your multifunctional copier is about to eliminate the high cost of outsource printing. Review the type of document handling you do most and buy accordingly. Business cards a regular necessity and your chosen copier should have this feature. No more placing high volume orders for business cards you don't need. Remember to consider brand names. This is one case where they do matter. 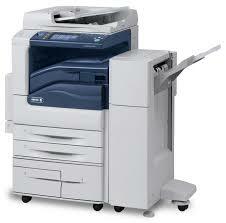 Top Arlington Heights copier brands include Kyocera, Copystar, Konica-Minolta, Sharp, Ricoh, Toshiba and Xerox. Speed - Standing in front of the copier waiting for it to slowly work creates hidden costs in valuable time. The higher the speed of the multifunction copier, the more it is going to cost you, but do you not save money in the long run when the workload flows more efficiently? Speed is good so you want to get the fastest model you can afford. Over 20 pages per minute is highly recommended. Memory - Same thing goes for memory, the more memory the higher the cost. If you are using your multifunction copier for a home office or small business the standard 8MB will probably be okay. If you are dealing with larger documents, then a higher memory such as 64MB may be in order. Automatic document feeder - Gone are the days of having to self feed the paper into the printer because if you lay down too big a pile of paper on the printer, you'll end up with a paper jam. With the self automated feature you do not have to worry about that, simply load in 30-50 sheets and let it go. You'll wonder how you ever functioned the old way. Isn't it time you did your business a favor and treated it to first-class products and service with Las Vegas Copier? More importantly - can you afford not to? Come by our website today so that we can set you up with the Kyocera, Copystar, Konica-Minolta, Sharp, Ricoh, Toshiba, or Xerox multifunction copier which is right for you. When searching for a copier it doesn't matter if you are working in the corporate world or at home, you need a reliable copier that will do the job. While there are many different types of copiers that can economize good caliber print work, the Kyocera-Copystar Copier is reasoned to be one of the best copiers that are on the market today. Since the very inception of the company's history the Kyocera-Copystar Group has offered high quality products for its customers. 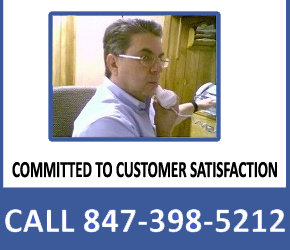 They have also been recognized as one of the leaders in customer support. Now this is important, because when you have an issue with your copier you want it to be handled with professionalism and speed. Now if you want to select a desirable copier for your company you need to have a clear idea of what type of tasks you will need from this copier. Today, copiers have a wide variety of functionality along with a variety of prices. This info will be imperative and can help you select the Kyocera-Copystar Copier that will give you the highest economic value in your work. Now, I will tell you pay special close attention to the multi functional copiers. You know the ones, they have the capability of faxing, printing, scanning and copying. Although, they have improved a lot, they have more moving parts that are trying to function together. Common sense will tell you, more chances of some small failure. Something you don't want to experience when you are trying to get that copy project done that has the deadline of an hour. While there are quite a a number of copiers, all of these copiers can be divided up into two distinct groups. One group is the color copier group. The other group delivers black and white only mono copies. And believe me there is a significant price difference in these two groups. To see which Kyocera-Copystar Copier that you may need you should travel to one of their store fronts or you can visit an office supply store or a computer store. All with have variation in selection and price. From these places you can select the type of Kyocera-Copystar Copier that you can afford and one that will also provide first-class caliber work. Remember, test the product to see what the outcome is going to look like. I know this sounds like a no-brainier, but you would be surprised as to the amount of people who just buy the product without testing it first. For any one who is not too sure of the type of copier that will be appropriate for their tasks they can ask for help in choosing these copiers. The shop personnel should be able to give you a little verbal description of the functions of each Kyocera-Copystar Copier. However, if they are good at their job (which we sometimes expect), then they will be able to answer your questions. Now you can also find selective information for these Kyocera-Copystar copiers from various links on the internet. Here as you look through the many World Wide Web sites you will now be able to find performance evaluations. Although, not all companies are delivering this information, many are trying. You will also be able to find out what past customers have to say about the many different makes of Kyocera-Copystar Copiers. When you have finished with your information search you can go to the store that you feel will give you a good deal on the various Kyocera-Copystar Copier products and choose one of these copiers. This also gives you an opportunity to get any last minute questions answered. Before you you pull out your credit card to pay for the copier you should find out what the go back policy is regarding the Kyocera-Copystar Copier. This data will help you if you find any problems or defects in the product that you have just purchased. So, do your diligence and research the various Kyocera-Copystar copiers. With this information you will be armed to make the right decision. As an exclusive user of Compatible Toner Cartridges for twenty years, there have been a lot of changes in the toner cartridge market. Today, the estimated market for toner cartridges is about twenty billion dollars a year. There is no question that you can save on your toner cartridges. However, before you jump in and purchase a toner cartridge, you would be wise to do a little homework. An informed choice can save you a lot of headaches. When companies first began selling compatible toner cartridges, these cartridges were primarily recycled toner cartridges. They were referred to as "drill and fill" toner cartridges. What these companies did was take an old discarded toner cartridge and drill a hole in it. Then, they simply poured in new toner, plugged up the hole and offered the consumer this great deal on a compatible cartridge. Today, the technology has vastly changed and improved. There are many reputable printer companies producing compatible toner cartridges. The technology they use is as good as the technology used by major printer manufacturers. These reputable toner companies use all new parts. Many of the components they use are identical to those specified by the original equipment manufacturer. For example, they use the same types of toner, drums, rollers, etc. The problem today is that a compatible toner cartridge sometimes has a dual meaning. When some companies use the term compatible toner cartridge, they are really talking about "re manufactured" toner cartridges. Other company's use the term compatible toner cartridge to refer to a "new" toner cartridge manufactured by a third party toner company. Both types of cartridges could be a good buy. All toner companies are not the same. Both the re-manufactured and the new compatible toner cartridges offer the consumer significant cost savings. A reputable toner company will use a quality control testing process for re-manufactured toner cartridges. This means they do more than simply empty the old toner and replace the cartridge with new toner. They will check the toner cartridges for quality of printing. 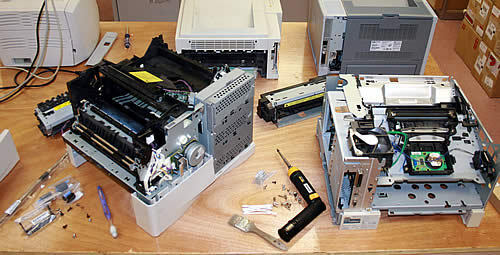 They double-check the toner parts for wear and tear. When a problem is spotted, the cartridge part in question is replaced. A reputable toner company that produces new compatible toner cartridges will also have a quality control program in place. What matters most is the long-term quality and quantity of print. The consumer dictates this. The toner cartridge user must be satisfied with both the first page printed as well as the last. Even though you do a massive amount of research, you may never truly know all you'd like to about a toner company. 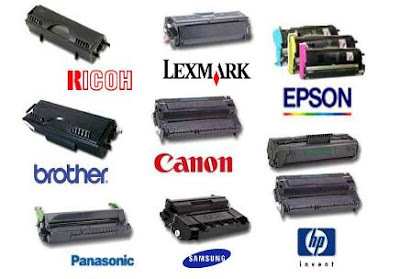 However, you can learn exactly what type of compatible toner cartridge you are purchasing. You should know at least ten things about a company before your purchase a toner cartridge online. Visit our website and review our special section "Purchasing Compatible Toner Cartridges Online". One important key to identifying a quality toner company is to study their toner warranty and money back guarantee. A quality company will stand behind their toner cartridges. If a company does not offer a one-year warranty and money back guarantee, keep looking. Today you can get a quality compatible toner cartridge at significant savings. Do your homework. 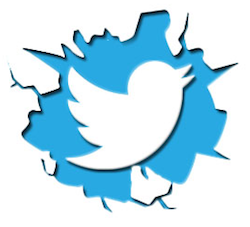 Visit several online sites. Look up your exact toner cartridge. Find out the exact type of toner cartridge they sell. Study their warranty. If possible, talk with someone that has purchased toner cartridges from the company. When you make an informed decision, you'll find that a compatible toner cartridge can significantly reduce your printing cost without sacrificing quality or quantity. A few important things to consider when choosing a wide format printer, copier or scanner. They are; whether to buy new or used, the purpose and amount of use the equipment will have, how will the increased capacity of such machines can affect your business and how long it will take to recoup the expense. On the expense issues alone, there are big positives to encourage a business to make this purchase. If you are choosing a wide format printer, copier or scanner that is used and re-formatted you can realize savings on the initial investment of about fifty percent over new costs. Prices vary from around $600 to $1000 on the low end to above $12,000 for refurbished printers, plotters, scanners and copiers in wide format configuration. Used and re-formatted machines should come with their own warranty and technical support. Purchase only from a reputable company that stands behind their products 100%. When using wide format machinery you will be able to produce different types of materials without the need for joining parts together on the finished product. This can be a major plus for looks alone and durability. You can easily produce larger posters, banners, window cling signs and other retail signage. This can be a real benefit to high volume businesses like advertising agencies, print shops and retail stores. For these businesses it makes sense to purchase a wide format printer, copier or scanner because of the savings realized quickly due to the volume of items needed. Obtaining good equipment is a great selling tool for any business that produces signage and reproductions. Output can be made right in-house with less expense than if it were necessary to send jobs out to other sources for wide machine production. Wide format is good when you are working with CAD and blueprints, large photographs or drawings or any other artwork that is best handled at one time. With large format machinery you can copy, scan and print large artwork and designs without having to piece together the finished products. Wide format printers are valuable and save time and money because you can print in one large piece. Paper sizes from 24" to 42" widths are accommodated by various large format printers. High speed output is accomplished with fast drying ink jet printing and using convenient roll paper. Fast speed at high resolution means you are able to reproduce high quality line drawings, renderings or photographs. This is good especially for map making and other geographic renditions in monochrome or full color. This is also great for archive storage of documents and records. How you use the wide format machinery is open to imagination. Posters, artwork and photographs in large sizes can be run quickly and cost effectively on wide format printers. You can run large jobs or mixed jobs together and obtain large quantities faster than with smaller machines. Text books, manuals and descriptive booklets with photos are good candidates for large format printers, copiers and scanners. If you need volume, consider purchasing this type of equipment for your business. In every business professional printing and copying are key operations that must be undertaken each and every day. The machines we use to perform these tasks dictate a lot on the quality of work that we achieve. Although we may set our documents to a certain desired standard, the printout or the copies we make may not come out in the same way we want if the machines are faulty. However, with Sharp Copier toner, you have an assurance that you will have up to the standard and high quality work. Today there are lots of different types of copiers to choose from. 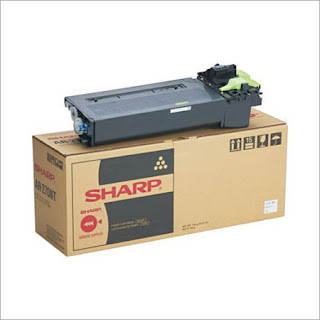 If you choose to buy the Sharp copier brand, you should buy a corresponding sharp copier toner OEM brand that will auger well with your copier. Otherwise you do not want to have a mismatch of machines made in different companies and performing incompatible tasks. To be sure of compatibility, you could refer to the model number of the copier and use it to locate a suitable toner. Since the toner cartridges come in two types, you will have to decide whether you want to buy the refillable or the disposable ones. You alone will know best which one is convenient. The best way to get the facts right, is to, visit the supply stores; like Staples and have the personnel assist you. You may be pleased to be informed that the refillable one can actually cut down a lot of expenses, much more than the disposable one. Check to see that the Sharp copier toner you are paying for is in good condition and that it is being offered at the best price possible. Select your toner, make a pre-run and if all goes well, pay for it and take it to your office. Do you feel that the environmental impact of your business or a company that you work for is excessive? If you have not thought about the ways that your business or the business you work for is affecting our global environment, I urge you to take a look at what is going on. Though many people have not come around to this kind of approach, it is nonetheless an important thing that people have been paying attention to in recent years. This is a concern that has become more and more common in various areas of our culture as the attitude of our culture expands to a global sense. A consumer based culture is one that is filled with lots of opportunity, but it is also riddled with problematic repercussions, many of which we have yet to comprehend in any real way. The implications of having a widespread, disposable global culture are one that will not last very long with the habits that have been developed. So many of the materials used in basic business and their day to day operations has vast ecological impacts that will be seen for many decades to come. In fact, many of the materials used daily in basic business are actually highly toxic to humans and biological life. One example of this kind of toxic material that we use daily are the printing materials that we have become heavily reliant on in order to conduct business, and document everything going on within it. Plenty of options are out there when it comes to a more conscientious approach to using and disposing of your office supplies, some of which are toxic or contain highly toxic materials within them; like printer cartridges filled with residual inks; so, if you are searching for HP toner supplies, for example, you probably have older cartridges and materials that need to be disposed. Most people do not think much of this and simply cast them off into the nearest wastebasket to be transported to the municipal dump or landfill. When this happens, the toxic properties within these materials eventually leaks out and into the water table, contaminating ground water beyond human and biological consumption. If this sounds like something that you would like to avoid doing, there are toner resources that you can consult in order to make a change in your company or the company you work for. Many retailers and various brands actually have repositories where you can take or ship your excess materials that are no longer of any use to you or your business. This is only one option to consider when trying to reduce your ecological impact. There are so many other ways to make sure that you are recycling and doing your part to keep this world in working order and not harmful to its inhabitants. Toner resources are a great option for anyone seeking to learn more about this, so check out some of the various areas of information on the subject when you have a moment. Remanufactured cartridges are used cartridges that are taken back to the factory after use, where they are redesigned for reuse. They are an inexpensive option to new cartridges, as they give an almost similar quality to new cartridges. 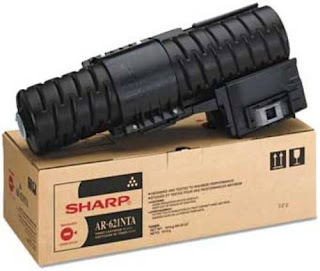 These remanufactured toner cartridges and laser toner cartridges are commonly used, as they are almost as effective as new ink toner cartridges. They undergo various processes, which fall under the remanufacturing process. One among the most important processes that cartridges undergo is disassembling, washing and replacement of the broken parts. The toner too is refilled then packed in new packaging thus, apart from the price and the fact that the cartridge is remanufactured. The printing quality is almost the same if not better most times, as that of a brand new cartridge. Remanufactured cartridges are marked thus, this enables buyers distinguish remanufactured cartridges from new cartridges. The advantage of acquiring remanufactured cartridges is that the buyer saves approximately 50 percent of the price of a new cartridge. This is also realized on purchase of remanufactured laser toner cartridges since the cartridges are refilled and the laser toners undergo refilling. They also have remanufactured supplies for photocopiers and fax machines. With an almost similar quality in output, remanufactured cartridges have the added advantage of having a consumer friendly price tag. The other advantage of printer cartridge recycling is that when the cartridges are remanufactured, there are fewer disposals, since the used cartridges are recycled in an environment friendly process thus, ensuring that the environment is kept clean. This process also seeks to avoid landfills, which serve to increase pollution to unprecedented levels. This thus keeps the environment clean from toxic and lethal chemicals that harm the environment and its users. The refilled cartridges are tested and have certification that shows that they have met the manufacturer standards and are fit for use with printers. The performance is also tested and there has been positive feedback from end users of remanufactured cartridges. This feedback is taken from the users of remanufactured cartridges that have tested the refills fully for a specified period of time and thus certified their quality of use in production, therefore after this testing and certification a majority of the end users can comfortably pledge to the efficacy of these cartridges. When looking for good remanufactured cartridges, one has to get the cartridges that are compatible to their printer type thus; this is possible through being familiar with the dimensions of the cartridge slot in the printer. Most of the cartridges are designed in universally standardized dimensions to allow usage with major types of printers hence the size of the cartridge is not such a problem when procuring a remanufactured cartridge. The size is mainly considered due to the quantity of toner that the cartridge contains. It is also important to consider the color of the toner that is in the remanufactured cartridge since cartridges have different colors therefore, if the buyer is not careful they could buy the wrong color cartridge. Most of the cartridges have black color, which is mainly used for many printing processes. Both hardware and software of computers demand much attention. Otherwise, they might develop some defect in their functioning. The printer is one of the main components of the whole computer system, so one needs to use it intelligently as well. Depending upon the way they work, one can categorize printers in a number of types. Here, we will discuss the toner based printers and their various supplies. In very simple terms, printers are the devices that produce a hard copy of the data that is stored in the memory of the computer in the form of files and documents. There are different types of printers based on the technology they use. Toner based printers are the first one on the list. These printers use the principle that is followed in most of the photocopiers, that is, the Xerographic principle. It uses static electricity to make contact between the toner and the printing photo conductive material channel. This contact includes pressure as well as heat. The laser printer is an example of a toner based printer. These printers are famous for good quality pictures, speed and low production cost. Due to all these qualities, they are highly used in offices and homes. They can produce high quality colored as well as black and white print outs. Good quality print outs also require quality printer toner supplies and you get them through reputed stores as well as through well known websites. A toner is a special kind of ink used in laser and LED printers. It includes a dry powdered substance having an electrical charge. Due to this feature, it adheres when it comes into the contact with plate or paper which is loaded with opposite polarity. All printer toners have a cartridge that fills with the powder substance. When it is finished, it can be refilled again. Some of the printer toner supplies are cartridges, ink, adherence drum, toner cleaner and other small pieces of equipment. There are a number of companies that deal with quality printer toner supplies. Some of them are Canon, Samsung, HP, Dell, Brother and others. For example, HP provides you with quality printer toner supplies in different numbers. If you are an e-shopper, you can update yourself with their features by using the number of the item you want. Their highlights include the resolution they offer in the printouts, the number of pages printed out with one time cartridge refill and their price. All the reliable brands are registered on the Internet and anyone can easily derive the relevant information by doing an internet search. Thanks to the number of websites available on the internet right now, users can also compare the prices of different quality printer toner supplies choosing the cheapest one, is not always the best decision. 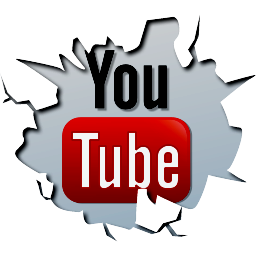 Beware of those, cause there are a lot of inferior products on the internet that can cause you major repair bills.